'Honey Glazed' (O. David Niswonger, R. 1982). Seedling #IB 9-80. IB, 24" (61 cm), Midseason bloom. Standards cream; falls amber; gold beard. SDB seedling #2-77: ('Beau' x 'Celestial Doll') X 'Turtledove'. 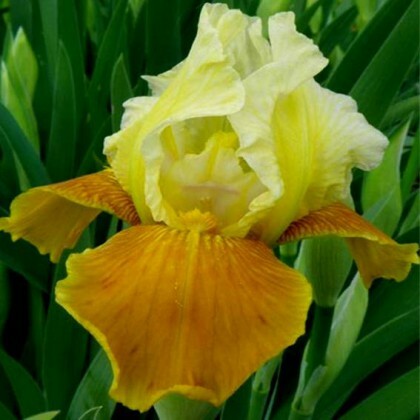 Cape Iris 1983. Honorable Mention 1985; Award of Merit 1987; Sass Medal 1989.